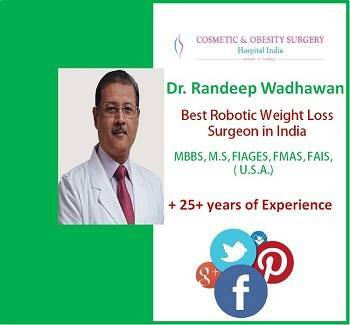 Dr. Randeep Wadhawan at Fortis Hospital, New Delhi India is the best bariatric surgeon in Delhi. He provides a full menu of surgical solutions to patients troubled by obesity which is tailored to fit your needs. Dr. Randeep Wadhawan is specialized in Minimal Access Surgery, Bariatric Surgery, Gastrointestinal Surgery, Metabolic Surgery for Type 2 Diabetes. His areas of practice and expertise include Advanced Laparoscopic & complex Gastrointestinal Surgeries, Laparoscopic Bariatric Surgeries, Laparoscopic Urology & Laparoscopy in Paediatric patients.